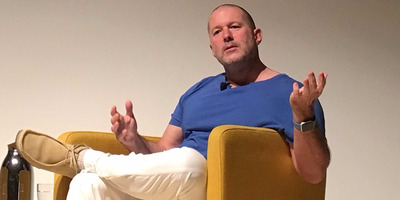 In a move that could indicate that Apple is refocusing on the design of its products, it’s put Jony Ive back in charge of its design team. Both the user interface and industrial design teams will report to Jony Ive. He stepped back from his day-to-day administrative duties in 2015, when he got his current title. His resumption of managerial duties follows a wave of criticism about many of the company’s products even as the iPhone maker touted the design of its futursitic new headquarters, Apple Park. “With the completion of Apple Park, Apple’s design leaders and teams are again reporting directly to Jony Ive, who remains focused purely on design,” an Apple spokesperson told Business Insider. Ive’s deputies, Alan Dye and Richard Howarth, who headed up user interface and industrial design, were removed from Apple’s leadership page on Friday, 9to5Mac reported. During Steve Jobs’ tenure as CEO, Ive effectively served as his right-hand man, leading the industrial design of all of Apple’s major products that led to its remarkable rebound and later industry dominance, including the iPhone. He’s still seen as one of the most important executives at the company. However, when Ive relinquished his day-to-day duties two years ago, the move was widely seen as the first step toward his eventual retirement. And in recent years, many Apple watchers have speculated that he had taken a less-involved role at the company. As part of the management shift, Ive will once again run Apple’s industrial design department, which is charged with imagining and designing breakthrough products like the iPhone. In the past, Ive often gave concepts to Apple’s engineering department, telling them to make the product design possible, which is counter to how industrial design works at other high tech firms. Apple’s products have faced a substantial amount of criticism in recent years. Users have complained that its Mac laptops have sacrificed functionality, and Apple’s flagship product, the iPhone, went three years without a major redesign before this fall.